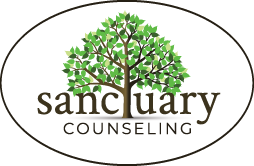 Month: December 2014 | Sanctuary Counseling, LLC. 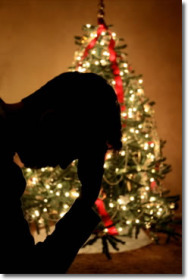 The holiday season is fast approaching, and this can be a very anxiety-triggering thing for those who are grieving. Whether the grief is recent and raw, or whether it has been many years since the loss – the thought of getting through milestone/time-marking events (such as the holidays) can feel overwhelming. The truth is, we don’t usually know what we will actually need during that time, and often we have even less idea how to get it while we are in crisis. We can have options ready to implement as needed, and a support system on alert. Do I wish to be alone or with others? Do I wish to be completely alone in the house or alone in a separate space with others still in the home? Do I need people to call me and check in? Would we speak about my grief or distract me with something else? What might that be? On holidays and event anniversaries, how would I like to remember them? How would I like others to remember them? Talk about the person in depth and share stories? Make a toast or take a moment of silence? Do I want to skip the holiday/event altogether? Who would be the people I would like to be “standing by” in case I need to call upon them? Who would be those I anticipate definitely wanting to be nearby? Do I need to stay inside or get out and about? What comforts me? Hugs? Music? A movie? Someone brushing my hair? A cup of tea? Do I prefer speaking or silence? How can others let me know they are bearing witness to my grief? People usually want to be helpful and supportive, but may struggle to know what exactly that should look like for YOU. We can help them help us by thinking about our possible needs in advance and communicating them clearly. Has the most wonderful time of the year become your most unbalanced time of the year? The weather has turned colder and Halloween is but a faint memory which means that this year’s holiday season is now in full swing. It seems as though each year the stress of the holiday season comes earlier and earlier especially when the past few years Christmas decorations can be seen sharing the same aisles as Halloween decorations and Thanksgiving is too often overlooked as the holiday in the way of some amazing sales. As this time of year approaches too many are not having the most wonderful time of the year but the most unbalanced time of the year. Poor emotional and physical self-care is often made worse by the onslaught of demands from a season whose overarching purpose is supposed to make it your best time of year. Without the appropriate self-care this time of the year can lead to emotional stressors which can in turn lead to symptoms of depression, anxiety, and emotional fatigue. Poor physical self-care can contribute to your emotional stressors by causing its own type of fatigue and physical ailments just in time for your holiday celebrations. The good news is that there are things that you can do now to make this year a most mentally and physically balanced time of year by addressing your sleep, eating and scheduling issues. Sleep, and getting enough of it is your first order of business. You and your family need to get on a healthy sleep schedule that includes enough sleep each night and a schedule that is very consistent. Your body needs a consistent sleep cycle to aide it in keeping its own natural daily circadian rhythms. Your body’s natural rhythms do not like a lot of variation in time. This means that once you and your family have set a healthy daily sleep and wake cycle you should not stray from this schedule by more than an hour in either direction, as in do not stay out too late or sleep in too much. During this busy holiday season if you are invited to an activity that requires your family to stay out much later than their usual bedtime it may be more appropriate for you to skip the activity and consider how much stress it may place on your family’s sleep habits. Your family may be okay if this is a once every few months thing, but during the holiday season many of these so-called “once in a few months” activities demand your attendance, so pick and choose your attendance wisely. Poor eating habits are also made worse during this most wonderful time of the year because everywhere we go there are cookies, pies, cakes, and other diet disasters waiting to happen. Now, of course, is not the time to start a weight loss diet but it is time to be more mindful of how what you eat makes you feel. If you are fueling your body with junk, you will feel like junk. Try to limit yourself to one small extra serving a day of holiday goodies because all of that extra sugar, salt and fat can take a toll on your body that will often show up as unfriendly digestive issues and possibly added fatigue. The last thing you need at any time of year is trying to explain away your new affinity for your in-laws powder room every half hour or how you were so exhausted that you snored through your own rendition of “Jingle Bells” during your child’s holiday school concert. Speaking of exhaustion, let’s take a look at that overworked schedule of yours. In a world where your down-time is at a minimum to begin with, you are suddenly tempted to shove ten more things in to your week for the next six weeks. You rationalize that all of these activities and family functions are simply part of the holiday season, but you and your family are almost too exhausted to enjoy these extra activities (even with your healthy new sleep and snacking habits). Remember that constantly attending scheduled activities during your free time is not the same as having down-time to recharge and relax. You need to schedule in time to relax and recharge so that you can actually enjoy the most wonderful time of the year. This year, challenge yourself and your family to pick and choose the appropriate number of activities because this year you cannot simply do everything that comes your way. Learn that it is okay to say no to things when they would simply cause too much added stress. Also, if fitting in several families on one holiday is becoming too stressful of a day for you then consider asking your extended family if they actually have to gather on the actual day of the holiday or if all of you could get together on a different day when you would be more likely to spend all of your time with them. Many other family members might be thinking the same thing as you are, but have not had courage to ask. Be the person to ask and you just might end up being everyone’s new favorite person because their schedules are just as out of control as yours. Remember, it is your responsibility to control your schedule and all of the other aspects of positive self-care this season so that you can have a more emotionally and physically balanced most wonderful time of the year.